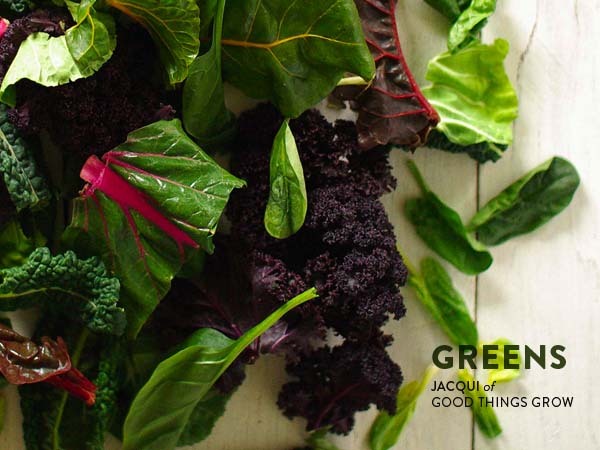 Today's Favorite is from Jacqui, the woman behind the blog Good Things Grow, formerly known as So Good & Tasty. Jacqui's blog is full of delicious vegetarian dishes and wholesome sweets. 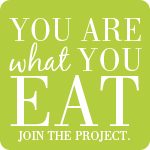 She's also a member of the Food Matters Project, contributes recipes to the Whole Living blog, and photos for Bon Appetit. When she's not blogging or cooking, she's working as a graphic designer at her creative studio, Slide Sideways, with her husband, Scott. They whip up some beautiful posters, screen-printed stationary, and these awesome produce bags. Make sure to check out their etsy shop! Jacqui, what's your favorite food? Jacqui: Not many people can say they actually crave leafy greens, but I do! I incorporate them into my cooking everyday, even at breakfast time in a green smoothie or simply sauteed with an egg on top. Plus they love me right back by making me feel good and providing me with tons of nutrition my body needs. Thanks Jacqui! Have a lovely (hopefully warm!) weekend, everyone! Any chance I get, I secretly throw in a whole bunch of greens in the dishes I make. They wilt so fast, nobody ever notices they're even in there! We have a love affair with all things green in our home. Green smoothies, sauteed greens with fried eggs (like you! ), growing baby kale and herbs on a tiny balcony. It's amazing what adding a few fresh herbs or a handful of baby spinach will do for our overall well-being, isn't it. I know this sounds strange but I actually boil my lettuce. I like the taste of soft lettuce.